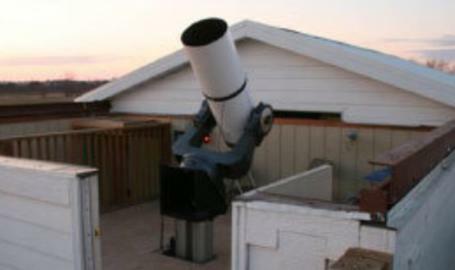 The Calumet Astronomical Society’s observing events are open to the public, family friendly and free. Please park in the designated visitor parking area. Because observing is conducted in a “lights-out” environment, parents are requested to keep their children under close supervision. Do not use standard flashlights in the observing area. Exposure to white light, even briefly, will seriously impair night vision making observing difficult. Red-filtered flashlights can provide illumination without affecting night vision. You can make a red light by cutting off the end of a red balloon and putting over a standard flashlight. Special Note: Observing with telescopes is contingent upon clear weather. Cloudy or inclement weather conditions may cause programs to be cancelled without advance notification. It is suggested that before heading to the event, you visit the CAS website,www.casonline.org to confirm that the program is still scheduled.